Perhaps you don’t want to keep running back into books? Perhaps you want to fold back into your little-big Zen heavens? Read the 'Contextual Notes' to the poem here. 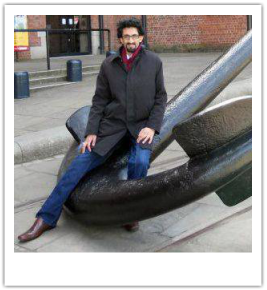 Rehan Qayoom is a poet of English and Urdu, editor, translator and archivist. Educated at Birkbeck College, University of London, he has featured in numerous literary publications and performed his work internationally. He is the author of 2 books of poetry and several works of prose and criticism.﻿ He lives in London. plaster ceilings and moody skies. and the ghosts of all the shops that have now closed. all you dreamt you would be. Don't tell me. I said. I know.